Urban Hydration Naturals is lit. Urban Hydration Naturals is a Black owned, bath, body, and haircare line that did 👏not👏come👏to👏play! Urban Hydration Naturals gave me one of the longest lasting wash and go's I've had in a looooooong time. I stopped at day 7 because I personally can't see myself going longer than a week without water on my hair and scalp - but come on! When is the last time you heard me say anything about a wash & go lasting 5, 6, or 7 days? Between the gym, hand-in-hair-syndrome, and the fact that I sleep like a wild animal, my wash and go's generally last 3-4 days tops. Pile scalp issues on top of that, and I'm usually headed for a re-wash by day 4 at the latest. But with Urban Hydration Naturals, My hair made it to 7 days - and looked absolutely amazing in the process. Want to know how I did it? Watch the video for the steps I took to achieve long-lasting definition, shine, and moisture with products from Urban Hydration Naturals. 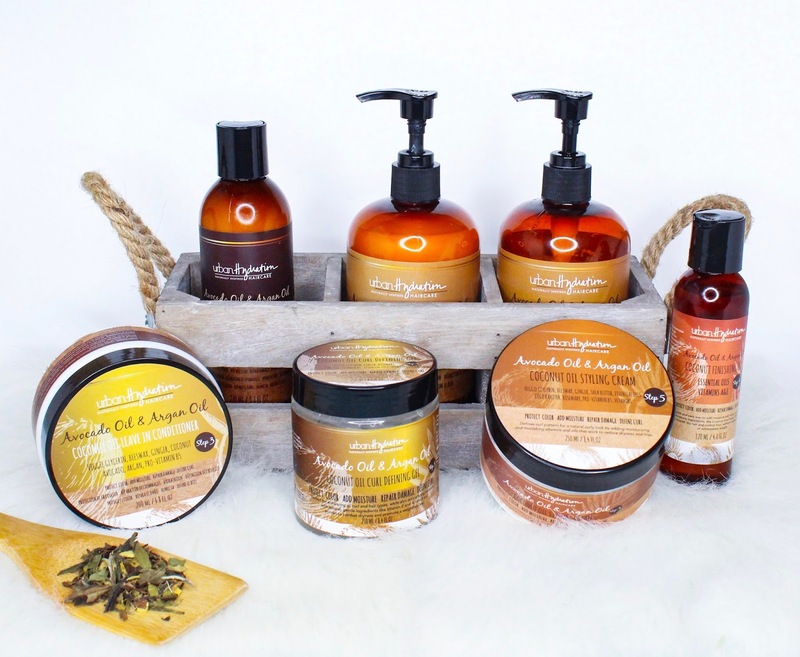 Want more details on the Urban Hydration Naturals line? I got you. Keep reading for details on ingredients, where to purchase, and which products from the line are my faves - keep reading below! Oh and by the way, to keep this review from going on forever, I had to condense some areas. We're talking about 7 products here! Silione free. Artificial color and fragrance free. Protein free. But it's important to note that the entire Urban Hydration Naturals line is silicone and sulfate free (aka curly girl friendly), and protein free as well. Every product does contain coconut, avocado, and argan oils. Most importantly (for me), the entire collection is free from artificial colorants and fragrances. Urban Hydration Naturals website, select Sally Beauty Stores, and here on Amazon. Sodium Cocoamphoacetate: Incredibly gentle organic compound used as a surfactant, emollient, hair conditioning agent, and foam booster. Decyl Glucoside: Natural, non-ionic surfactant created using a combination of plant-based fatty alcohols and glucose. It's mild, gentle, and does not dry out the hair or skin. Sodium Lauroyl Sarcosinate: A natural amino acid derivative that acts as a cleanser and foam booster. Enhances effectiveness and feel of cosmetic products. Glycerin: Generally vegetable-based humectant that draws moisture from the air. One of the key components of my wash and go being able to last so long is having a clean and clear scalp. While the Urban Hydration Naturals Coconut Oil Shampoo isn't a medicated shampoo by any means, it did get my scalp nice and clean without drying it out. I definitely appreciated the use of natural ingredients and essential oils for fragrance - and so did my scalp. I love the viscosity of the shampoo, and if you work in sections, you can use it to help detangle. A few pumps goes a long way - and it left my hair feeling strong, clean, and moisturized. An ultra moisturizing wash day duo. Beeswax: Thick wax produced from the honeycombs of bees used to seal moisture and provide a natural hold on hair. C12-15 Alkyl Benzoate: Ester and emollient that is used to enhance spreadability, reduce the greasiness of other oils, and create a silky soft feeling in mixtures. 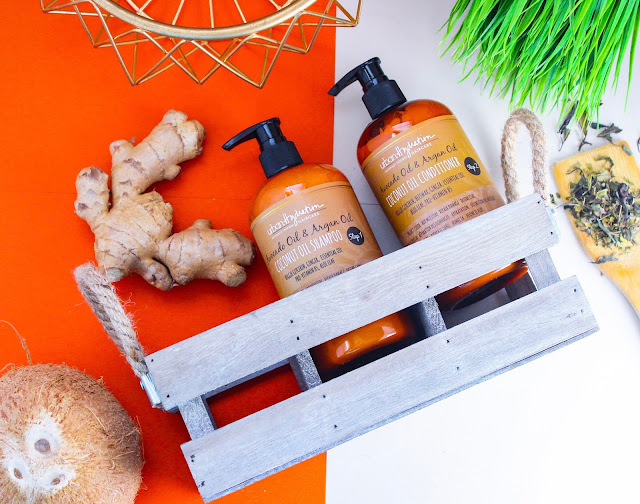 Ginger Extract: Extraction of the spicy, aromatic root that stimulates and encourages hair growth while fighting free-radical damage. Also conditions the hair, while helping to relieve dry, itchy scalp. Omg I LOVE this stuff! The Urban Hydration Naturals Coconut Oil Conditioner needs to be sold in massive jars because it's legitimately bomb! As you saw in the video, I didn't exactly make all the effort in the world to keep my hair detangled during shampooing. That was intentional. Word on the e-streets was that Urban Hydration Naturals had that slip on lock - and I wanted to put it to the test. With the Urban Hydration Naturals Coconut Oil Conditioner, I was able to use my treasured Felicia Leatherwood Detangler Brush to section and detangle my hair thoroughly with minimal shedding. I'm not sure if you guys know this or not, but I only for real for real detangle about once a month. Most of my wash days are fingers only. Not only did the Coconut Oil Conditioner give me less shedding than expected, it also gave my hair all sorts of moisturizing goodness. Because my hair is on the low porosity side (especially in the front), it takes heat to make any conditioner penetrate into my strands. And as the video showed, 20 minutes later that stuff was ALLLLLLL soaked in! After rinsing, my curls were super soft and ready to style. Trust me, you'll want these in your arsenal. PVP: Form filming vinyl polymer used as a hair fixative and binding agent (aka provides hold). It's a common active ingredient in many gels and styling product formulas. Where do I begin?! 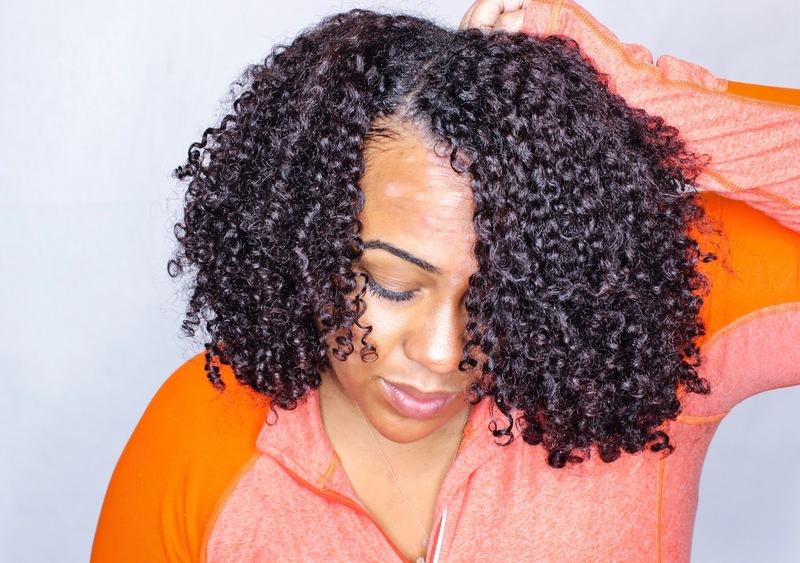 My love for the Urban Hydration Naturals Coconut Oil Leave-In Conditioner was INSTANT. Like, magical. Because LA gets some winter-esque weather during the mornings and evenings (with 75 degrees midday), it's pretty cold and not always practical to apply my leave-ins and stylers to soaking wet hair in the shower. Even on my naked, non-drenched hair, the curl poppage with the Coconut Oil Leave-In was instant. As was the shine. The Coconut Oil Leave-In was honestly thicker than anything I've ever experienced in a leave-in conditioner, but the performance was AMAZING. No white residue whatsoever. Despite its thickness, the leave-in soaked right into my hair, while making it incredibly easy to work through. I literally could not ask for anything more! These 5th day curls look better than some of my day 2 curls. Urban Hydration Naturals website, select Sally Beauty Stores. OMG - where have you been all my life?! Seriously, once I paired the Coconut Oil Styling Cream with the Leave-In Conditioner, I KNEW my wash n' go was about to be lit. 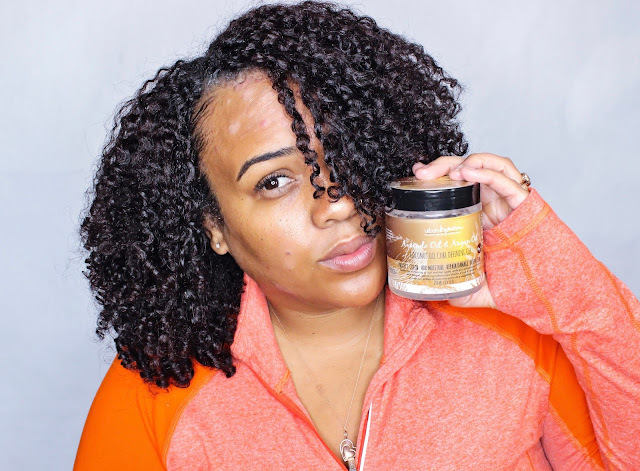 The Coconut Oil Styling Cream, while slightly thinner than the leave-in, doubled up on capturing my curls, adding shine, and priming them for enhanced definition. A little bit goes a long way - meaning the dollop I'd normally use on one section of hair distributed perfectly throughout an entire half of my head. It paired beautifully with the leave-in and Curl Defining Gel, leaving not one single piece of buildup, residue, or "product booger" (you know what I'm talking about) behind. All in all, the leave-in and Coconut Oil Styling cream played a pivotal part in my wash n' go lasting as long as it did! Xanthan Gum: Plant-based thickening and stabilizing agent. Rosemary Extract: Known growth stimulant and extract, used to prevent dandruff and even premature baldness, as well as enhance highlights. The leaves are known to have relatively high levels of antioxidants. 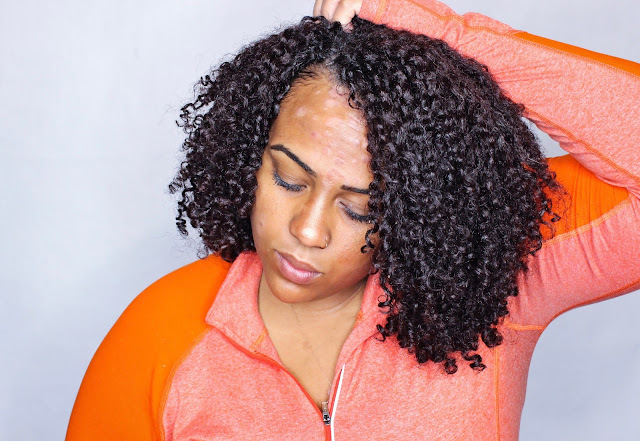 But after watching my hair go from good, to great, to amazing over the course of 7 days, I couldn't help but feel a way about this Coconut Oil Curl Defining Gel. Christina's Choice 2017 is literally right around the corner - and I'm already making some late 4th quarter changes to the roster. I mean, 7 days of AMAZING hair?! Where they do that at?! Apparently, over at Urban Hydration Naturals. 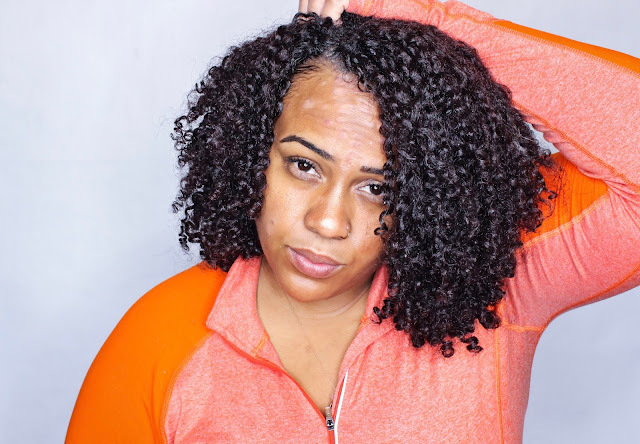 The Coconut Oil Curl Defining Gel has the properties that I love (plays nicely with leave-ins and creams) and has the thickness that I go nuts for. It's not quite as thick as Eco Styler, but it's definitely on par with my beloved tgin Curl Bomb. Getting cozy with my new bae. I thought I would be reaching for the Coconut Oil Daily Moisturizer on the daily - but that so was not the case. In fact, during the course of the 7 days I worked this wash n' go, I only reached for the Coconut Oil Daily Moisturizer once - on day 2 to break my gel cast. It left my hair shiny, soft, and super moisturized. In the future, I plan to play around with this product more - to see where the possibilities may lie. Ethylhexyl Palmitate: A derivative of palm oil lipids, acts as a smoothing agent and emollient. Often used in place of silicones as a "dry slip" agent. Avocado Oil: Omega 3-rich nourishing oil extract that can enhances shine, moisture retention, softness, and elasticity in hair. Usually, I'm against using coconut oil in the colder months - mainly because if it's solid in the jar, it's solid on the strands. But as you've seen in the video, that's just not the case with the Coconut Finishing Oil. It behaves less like a true oil, and more like a lightweight serum. And if you love what coconut oil does for your hair but can't vibe with the smell - you'll definitely want to give the Coconut Finishing Oil a try. The fragrance is so faint, it might as well not be there! 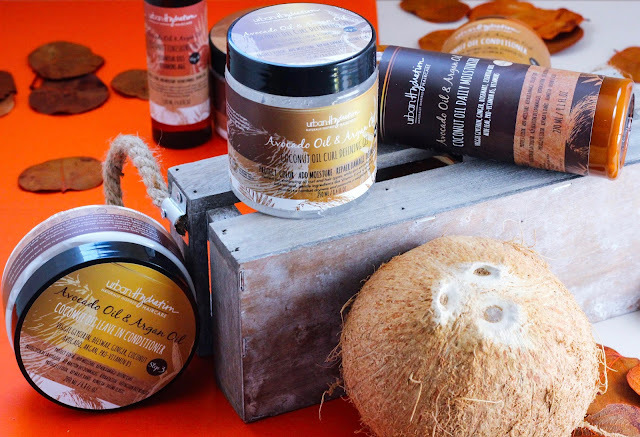 Overall, the Coconut Finishing Oil provides brilliant, natural shine while locking in moisture for days. I used it to seal in the leave-in and styling cream, and a few days later to help boost shine. Both times, my hair responded beautifully with enhanced sheen and zero greasiness. A lil' frizz. A lil' volume. A whooooooole lotta definition and shine. The Bottom Line + What Products Are My Favorite? As you've seen through this review, I enjoyed using all 7 products. I can honestly say that I was thoroughly impressed by the Urban Hydration Naturals line. I had moisturized, defined curls that lasted for 7 days with little to no scalp drama. I really do believe the absence of artificial fragrances helped keep my scalp from acting up for an entire week. Plus, the style results speak for themselves! But the catch is - you've gotta try them TOGETHER. Like, all at once on the same style. Maybe even with a lil' Coconut Oil Daily Moisturizer the next day. Either way, I'm headed to Sally's as soon as I hit "Publish" on this post. And if the Sally's closest to me is out of stock, I'm headed to Amazon. I don't think y'all understand how impressed I am with this brand. Will you be giving Urban Hydration Naturals a try? Let me know in the comments below! This post is sponsored by Urban Hydration Naturals and contains Amazon affiliate links. I found the line at TJMaxx for $6, so people might want to try there along with Marshalls. Good Looking out! I forgot to mention that. I remember seeing the Conditioner, picking it up, seeing how long the line was, and just sitting it back down and walking out. I regret it til this day. Now I need to go back! Did TJmaxx have all of the products? SNAP!!!! I NEEEEEEED to find that gel. There's only one sally's by me that carries the products. And I don't feel like driving that direction lmao! Hi, I'm a white woman with out of control big curly hair. I've tried everything. I picked up the Honey, Argan Oil & Sweet Vanilla Bean Extract Growth and Repair Style Cream at Marshalls without reading any reviews. I never heard of this brand before but it sounded interesting. I tried it dry and it made a huge difference. It got rid of the frizz, gave me definition which I never get and reduced the frizz..incredible! I can't wait to go buy the leave in and the gel. So, Happy I have found this product especially when it was on a whim.